I’ve just learned a horrifying fact: I’ve been pluralizing the name “Prius” incorrectly, and you probably have been, too. Did you assume that the regular rules of English plural words applied, such that it would be “Priuses?” I’m sorry. I’m so, so sorry. This disturbing revelation came after Meotter96 wondered what the plural of “Yaris” is. This question always comes up when we post things like adorable herds of Yaris race cars, or the ever-growing family of Prius cars. 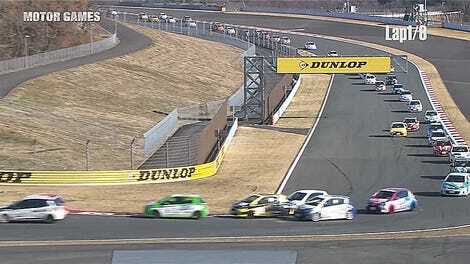 What do you call these Toyotas whose names end in “s” when there are several all at once? Toyota Motor Sales (TMS), USA, Inc. today announced that the general public has selected ‘Prii’ as the preferred plural term for Prius. The Prius Goes Plural voting campaign was launched on January 10 at the North American International Auto Show in Detroit and challenged the public to help the automaker determine the plural nomenclature of Prius. The campaign coincided with the world premiere of the Toyota Prius family of vehicles. With 25 percent of the votes, Prii becomes the word not only endorsed by the public who chose it, but also as the term recognized by Toyota. As such, Dictionary.com has updated its entry for the word ‘Prius’ to reflect this. 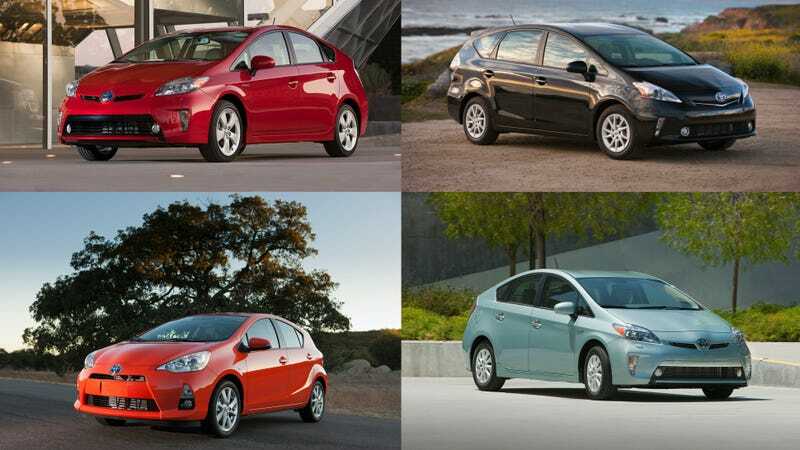 Multple Priuses are “Prii,” as chosen by the general public after Toyota put the debate to rest with a poll. Yes, that jokey term your friend uses to describe why the left lane isn’t moving is the real, accepted plural form of Prius. I don’t think we’ve ever officially made a declaration on the plural of Yaris. We typically add the word ‘models’ or ‘liftbacks’ for example to denote more than one Yaris. This is consistent with a previous answer Toyota gave Jalopnik in 2009, but personally, I’m sticking with “Yarises” until the very end. I’m sorry, I can’t take another mind-blowing revelation after realizing that “Prii” is really a thing.